We’d love your help. Let us know what’s wrong with this preview of Coal Black Horse by Robert Olmstead. When Robey Childs's mother has a premonition about her husband, a soldier fighting in the Civil War, she does the unthinkable: she sends her only child to find his father on the battlefield and bring him home. At fourteen, wearing the coat his mother sewed to ensure his safety—blue on one side, gray on the other— Robey thinks he's off on a great adventure. But not far from When Robey Childs's mother has a premonition about her husband, a soldier fighting in the Civil War, she does the unthinkable: she sends her only child to find his father on the battlefield and bring him home. At fourteen, wearing the coat his mother sewed to ensure his safety—blue on one side, gray on the other— Robey thinks he's off on a great adventure. But not far from home, his horse falters and he realizes the enormity of his task. It takes the gift of a powerful and noble coal black horse to show him how to undertake the most important journey of his life: with boldness, bravery, and self-posession. To ask other readers questions about Coal Black Horse, please sign up. Has the author written a sequel to Coal Black Horse? Does the fourteen year old protagonist Robey Childs seem to be really that age? What other teenage characters in literature seem mature beyond their calendar years? Robey Childs’s mother had a dream that Stonewall Jackson had died. In her mind, if Jackson was dead, then the war was over. It was time for her husband to come home. She decides that the only course of action is for her fourteen year old son to go find his father and bring him back to the farm. It is a herculean task for a grown man, but for a fourteen year old boy it has the makings of a suicide mission. Like Joseph, she makes him a coat of many colors...well...two colors. One side is butternut gray and the other is Union blue. Her intentions were the best and there is a natural logic that she has made her son safer with the ability to blend with one side or the other. Or they could think he was a spy. Old Man Morphew runs the local mercantile establishment and when Robey wandered into town barely beginning his quest and already exhausted and hungry he offers him food, advice, a pair of pistols, and most importantly the use of...the Coal Black Horse. It is the type of horse, standing 16 hands, with a fire in his eye and quivering raw energy that makes a man out of a mouse...if he can stay on him. A horse like that might increase a boy’s chances from none to slim. Robey has to learn fast and lessons are handed out with hard falls and pride knuckling helplessness. He meets a man dressed as a woman, a preacher with the devil riding both his shoulders, and two scavengers that snip dead soldiers fingers for their rings and pry gold teeth from their mouths. He experiences the kindness of a pregnant woman burying soldiers as best she can, a Union Major who has the wherewithal to understand he isn’t a spy, and most importantly he meets a waif of a girl named Rachel. Every time he has something go wrong he has just enough go right to keep himself afloat. He has more than a passing acquaintance with hunger. The war finds him and etches scenes into the fabric of his memories that will scar and harden a young boy into an old man. Violence is a live thing like a virus that infects all who come near it. It leaves maggots in the hearts of the pure, crushes the weak, and makes the strong feeble. He does find his father. I read somewhere a long time ago that there are theories that all the experiences of all our ancestors are coded into our DNA. We carry not only their genes, but their lives in our bodies. When we reproduce we are not only preserving our own existence, but the existence of all our ancestors going back to the very beginning. This is a story of courage, of a boy who goes on a quest not because he wants to or that he expects to find glory or fame, but because his mamma asks him to. When we weigh and measure Robey, stacking up his assets and his deficits, he comes up short of even that $4.50 that supposedly the elements of the human bodies are worth. His character, though, is worth a million dollars and change. I’d ride the river with him whenever he needed me. Highly Recommended!! Off goes the boy and his horse to a war because his mother said so. Her words were as if come through time and she was an old mother and the ancient woman. Where will I find him?” he asked, unfolding his shoulders and setting his feet that he might stand erect. She had other instructions: don’t trust anyone, be back by July, secure pistols, if you think someone is going to shoot you then shoot them first, and “be aware of who you take help from”. Their horse was lame before he made it to the Morphew’s store. The coal black horse is Morphew’s to lend his owner having died at the store. With that, he rode off on the coal black horse with the heavy revolvers in the holsters at his thighs. As he disappeared from sight, Morphew noticed the German had wandered to his porch and was suddenly standing at his side. The German marveled on the beauty of the horse’s flowing movement, its grace in stride, and he commented with small wonder on the horse’s affinity for the boy. “It’s a horse that leaves quite an impression,” Morphew said. He sits at his desk writing by candle light, a fire burning in the fireplace. He writes of darkness, of days when there was no sunlight, and the picture he paints is so dark that the coal black horse disappears into it, but you know that he is always there. Waiting. Running. Escaping. He writes about a boy's mother and his father. His father is off in the civil war and wounded, but he doesn't know this just yet. He doesn't know a lot of things, things he has never seen but will see and try to fo He sits at his desk writing by candle light, a fire burning in the fireplace. He writes of darkness, of days when there was no sunlight, and the picture he paints is so dark that the coal black horse disappears into it, but you know that he is always there. Waiting. Running. Escaping. He writes about a boy's mother and his father. His father is off in the civil war and wounded, but he doesn't know this just yet. He doesn't know a lot of things, things he has never seen but will see and try to forget. His mother says, just ride; please find him. Bring him home. Riding on the coal black horse though the darkness, he thinks of Ichabald Crane, of the headless horseman, and he is frightened. He knows where he is going, and yet the road that he is following leads him further into that darkness to places he cannot escape. He is now in a house where a family was murdered, a doll on the floor, a women dead in the upstairs bedroom. People are coming inside, a man, a woman, and a young girl. They have a meal, and then the blind woman sleeps while the girl is being harmed. The boy watches in fear and waits and then silently slips out the door, but the girl knows that he was there and was not moved by her terror; he did not help. This she never forgets. The writer sits at his desk and weeps for what he has just written, and he thinks of writing it out but he doesn't. He must tell what once had happened, but even he doesn't know until he once again puts his pen on the paper and writes, writes of things that he somehow knew long ago. The boy watches the battles and hides. He hears the soldiers' cries and the horses' screams. Broken bodies, torn off limbs. Again he does nothing; he doesn't know how. The scavengers come to steal possessions from the dead, to torture the dying who are suffering, suffering now for days. The medical students come to take the bodies, to even boil the flesh off the bones on this christened land. Why hasn't this haunting novel won any awards? It's truly mystifying. Not to mention disappointing that it's flown under the radar; more people need to know about this book. There are some books that are written for the story, and some that are written for the beauty of its writing. Very rarely will you find a book that actually possesses both qualities in spades. We have that here. Robie is sent off to find his father in battle to bring him home. Sounds simple, right? The problem is that he's onl Why hasn't this haunting novel won any awards? It's truly mystifying. Not to mention disappointing that it's flown under the radar; more people need to know about this book. Robie is sent off to find his father in battle to bring him home. Sounds simple, right? The problem is that he's only 14, and a naive one at that. Not to mention it's his own mother who sends him off to the battlefield, which is surprisingly not something he deals with emotionally in the book. And we don't know WHY she sends him out to the war, other than a dream she had where Stonewall Jackson died. Is that really a good enough reason to risk your son's life? Do you really believe your husband needs help getting home, because you don't say anything about that whatsoever. It's peculiar. In essence, she's sacrificing her child for her husband. If her son even makes it back, he'll be scarred either emotionally, physically, or both. She knows this, but sends him anyway. What's interesting is that type of emotional baggage isn't something a 14 year-old would be able to comprehend the depths of, let alone come to grips with. And yet, the author leaves it there out in the open for the reader to see it, to see the writing on the wall, so to speak. Her choice allows us to see a future that she's mapped out for him, even though he can't see it himself. His indoctrination into full-fledged adulthood is tragic. And we bear witness to his journey through the use of the author's simple yet poetic prose. Coal Black Horse is the poignant and horrendous tale of a boy, a magnificent black horse, and the American Civil War. It is the story of the boy's journey to find his father, and in the process he transitions from boyhood to manhood. The writing is beautiful and the storytelling is superb. I was impressed with Robert Olmstead's spare, lyrical prose in this coming-of-age novel set during the Civil War. Robey Childs is a 14-year-old boy living on an isolated farm in the region which is now West Virginia. His mother has a premonition that Confederate General Thomas "Stonewall" Jackson has died, and that her husband is in danger. She sends her only child on a journey to find his father, and bring him home. A neighboring shopkeeper gives him an experienced coal black horse to ride. The I was impressed with Robert Olmstead's spare, lyrical prose in this coming-of-age novel set during the Civil War. Robey Childs is a 14-year-old boy living on an isolated farm in the region which is now West Virginia. His mother has a premonition that Confederate General Thomas "Stonewall" Jackson has died, and that her husband is in danger. She sends her only child on a journey to find his father, and bring him home. A neighboring shopkeeper gives him an experienced coal black horse to ride. The mythical wise horse has great endurance, and seems to sense when Robey might be getting into a dangerous situation. As the boy travels over the mountains, and then north to Gettysburg, he encounters both good and dangerous people. He loses his innocence as he has to steal to survive, and sees the horrors of war. He finds his father seriously wounded on the battlefield. Robey comforts a group of dying soldiers, including one with phantom pain due to the loss of a limb, and protects them from some nearby animals. "When he returned to the soldier who had endured the phantom pain, he was going to tell him that maybe he was blind because God thought he'd seen enough for one life, but when he arrived at his side he found him to be dead. On his chest was the revolver, a six-shot Remington. It was loaded and he understood that the soldier had left it for him. He also came to understand that he was finally finished with his believing in God." Robey can't save the dying soldiers, but he honors them by burying the dead. He also helps a girl escape a bad situation. His experiences change him from an innocent youth to a young man who has learned about life during his journey. I don't think any review can quite do justice to this one. It is one of the most amazing Civil War novels ever written, concerning mainly the days after the battle of Gettysburg. Robey Childs is a 14 year old boy sent from his home in West Virginia by his mother to find his father and bring him home. His journey is a haunted one, and the writing so perfect you can literally feel this boy becoming a man. The depiction of the battlefield after the fighting is over is graphic in its desciption of n I don't think any review can quite do justice to this one. It is one of the most amazing Civil War novels ever written, concerning mainly the days after the battle of Gettysburg. Robey Childs is a 14 year old boy sent from his home in West Virginia by his mother to find his father and bring him home. His journey is a haunted one, and the writing so perfect you can literally feel this boy becoming a man. The depiction of the battlefield after the fighting is over is graphic in its desciption of not only the dead and dying, but the scavengers both animal and human. I have read about the actual battles, but never before about the immediate aftermath, which is just as, if not more, horrifying. The wonder of this novel is in the beauty of the telling. Olmstead gives us main characters and peripheral ones with the same detail, in such a way that you could literally look into their souls. I was completely lost in this book and found it hard to resurface from its world. “You will be back,” she said, her eyes suddenly alive, as if they were eyes seeing the life past this life. “You will promise,” she said, commanding his attention. It was coal black, stood sixteen hands, and it was clear the animal suffered no lack of self-possession. “That is an oncommon horse,” Robey said, unable to help himself in his admiration. Traveling at night, Robey makes good tracks and his bonding with his horse and sense of adventure has him flying high for a while. Of course he gets in trouble. And he has particular trouble over his mother’s rule about not trusting people. His horse provides signs he needs to learn to trust. He will experience hunger, severe injuries, despair over theft of his horse, and many tough scrapes with despicable people that infest the world in these dangerous times. A critical event in his development takes the form of not taking action to redress a terrible subjugation of a teenaged girl. You know Robey must get his horse back somehow. You know he will have more to do with this girl and her abuser again. You don’t know if he will reach his father in time, so will his arduous journey become meaningless? Like Frodo approaching Mordor, he experiences more and more signs of dark forces at play. The roads are full of refugees, the walking wounded, carts of bodies, and soon he can hear the rumble of distant artillery and will encounter fields of fearsomely wounded left out to whimper and die. It was as many and again and again into infinity as the most people he’d ever seen in one place—in his whole life together—and they were all limbed and dead and dying and their air smelled fetid as if an ocean shore captured for days at low tide, close and unmoving, quaked by no wind. He knew this was no brittle edge of the world he’d entered. This was the world itself. What happened here was not enmity or brutality. …This was not the raving mad. This was not for love or greed or ignorance. These were the well bred and the highly educated. This is humanity. How to explain the way violence needs violence? Is that the explanation itself? Violence demands violence. This was not the pagan retribution: an eye for an eye, a tooth for a tooth. This was the law before there was law. This was vengeance and a rebellion to law. How to explain the failure to understand this and the failure to not understand there are things that cannot be understood? The prose and storytelling in this tale was wonderful for me. The themes he takes up resonate with a number of other books I’ve enjoyed which deal with dangerous journeys as a medium for portraying the coming of age or the development of older characters in a time of war. These include: True Grit, The Painted Bird, Absalom Absalom!, Woe to Live On, Sweeksmoke, War Horse, Going After Cacciato, and Cold Mountain. This book earns five stars from me along with these other powerful, well written, stories. I look forward to Olmstead’s further development of his themes in successor novels that place descendants of Robey in World War 1 (“Far Bright Star”) and the Korean War (“The Coldest Night”). In a sense, all stories are about what we mean to ourselves and what we mean to each other. It's really that simple, but every one of them has to be different. This is a quote from the afterword of the Robert Olmstead's novel, and it explains in part the sense of timelessness, of the universal truths that stand as the foundation stones of his tale of war. The names of the characters, the names of the places or the reasons for the conflict become irrelevant. The opening passage could be part of the Oddyssey or of one of the Arthurian fables: a mother sends her young son out from the farm he grew on, to search for a father who has gone to war and bring him back. The mother is prescient like a modern day Cassandra, she knows something bad is about to happen, and that the boy must hurry. The boy is an innocent, familiar only with the rocks, the trees and the animals on his isolated mountain farm. His journey out into the world is another incarnation of the thousand faced hero of Joseph Campbell: to gain wisdom and to bring back some sort of boon back to his home and family. Viewed through this mythical lens, the novel is not historical, but philosophical - the same events have happened in every age, and will probably continue to happen as long as there are men on earth. Robey's story has thus its universal structure, but has to be different in its particulars, has to be anchored in a more relatable past experience. For the American audience this watershed moment is the Civil War, and its darkest hour is the Battle of Gettysburg - the moment a whole nation lost its innocence and was awakened to its own atavistic nature. The whole point of existence is reduced to "Kill or be killed!" and all the pretty frills of civilization are burned away under artillery and rifle fire. You have to know, son. What happened here was not enmity or brutality. [...] This was not the raving mad. This was not for love or greed or ignorance. These are the well bred and the highly educated. This is humanity. This is mankind, son. [...] This is the nature of man and this is the world and if you are to live in it, you need to know what you have to do. I will not go into the details of Robey's journey from the isolated farm to the fields of death. He learns his lesson and he comes back a man instead of a boy. He does what needs to be done, and turns his heart to stone, shedding his chivalrous impulses and listening instead to the cold, practical voice of reason, the only one that will preserve his life and get him back home. It's not a pretty picture, and Olmstead doesn't shy away from holding out a mirror to the worst part of our common experience. Instead of concentrating on tactics, movement of troops and acts of individual bravado, the scenes Robey witnesses are of the gory aftermath of the battle, of the the inglorious fields of torn limbs and unravelling intestines, of the cries for water or mercy, of the predators (animal and human) gathered to feast on the remains of the fallen. At the end of that road, it was as if evil had descended and taken up inside man and caused man to flail and step before bullet and receive the bullet and receive the blade and man could not help but put up flesh as shield against metal. For man to enter those fields had been to give up all will but the will to kill, or be killed, and to survive those fields was somehow to be cheated of death. At the end of that road, he knew was his destination. He decided from that day forever after that there must live a heartless God to let such despair be visited on the earth, or as his father said, a God too tired and no longer capable of doing the work required of him. [...] He now knew everyting died sooner or later and knew life meant little. He knew everything that was had been before. He knew the lives of men were mere and fragile wisps regardless of action, declaration or self-opinion. He knew the earth was angry and evil was as alive as any man or woman. [...] He knew in the end there were no answers. There was no illumination. The world was chance and was not revealed to us, but it revealed us to ourselves, our fragments of idea, our false memory. There was neither vision nor wisdom to be discovered. We only became more seeing and less ignorant. Sin could not be washed away and minds do not heal except for the guilty and the foolish. Our confessions become our weakness and our wisdom our vanity and both our harmful fantasies. I finished what I wanted to say, borrowing heavily from the author's own words, and realized I didn't mention the horse. The horse is important, in ways that I am still trying to figure out : as an avatar of death that walks by Robey's side on his epic journey; as a tower of strength that reassures him that he can prevail; as a symbol of the blind forces of nature that are indifferent to the plight of mankind; as a friend who is making no demands on Robey, who is devoted and faithful, who judges him not and simply exist; as an affirmation of life. Maybe all my theories about the horse are valid, maybe none. I know I will benefit from a re-reading of the text, at a more tranquil pace and with more attention to nuance and metaphor. Coal Black Horse was a horrific and starkly beautiful civil war novel . Sparse in prose yet deeply expressive, it captures the reality and hopelessness of war and the loss of innocence with a style and imagery reminiscent of McCarthy. The graphic battlefield scenes and journey from boy to man was captivating. The premise of a mother sending her fourteen year old son to retrieve his father from the war is intriguing. Why would a mother do such a thing? Is the love for a husband greater than that of a son? Should it be? It’s not that simple. Robey’s mother is driven by her thought-to-be prophetic dreams. What if you knew your son would survive? Is the chance to see your love again worth your son’s childhood? He thought of the men and boys who would come home and would never heal, the broken and wounded, the not dead. Those who would never see, never walk, never chew food, never speak a word, never sit up, never dress themselves, never again have a thought in their minds. What would their women do? Would they still love the men and boys? What would love become? The women in this novel are broken and brutalized. Often the victimization of women in wartime is overlooked. Olmstead presents that truth and its consequences and lasting psychological damage in both a disturbing and realistic manner. Robey may have been our guiding force, but Rachel and her plight haunted me. When he returned to the soldier who had endured the phantom pain, he was going to tell him that maybe he was blind because God thought he’d seen enough for one life, but when he arrived at his side he found him to be dead. On his chest was the revolver, a six-shot Remington. It was loaded and he understood that the soldier had left it for him. He also came to understand that he was finally finished with his believing in God. For the rage, the pain, the beauty....I highly recommended this book. I have read plenty of books about the American war in Vietnam but relatively few about the American Civil War. I am wondering if the stories told from a bloody battlefield are timeless. In this powerful and poetic book both death and life exhibit strong powers to prevail. Coal Black Horse is the story of a fourteen year old boy who is sent by his mother to bring home his soldier/father from the battle at Gettysburg. It is the experience of a young boy in a war. I have heard stories about children I have read plenty of books about the American war in Vietnam but relatively few about the American Civil War. I am wondering if the stories told from a bloody battlefield are timeless. In this powerful and poetic book both death and life exhibit strong powers to prevail. Coal Black Horse is the story of a fourteen year old boy who is sent by his mother to bring home his soldier/father from the battle at Gettysburg. It is the experience of a young boy in a war. I have heard stories about children forced to fight as soldiers in other countries in our present day. I can’t imagine children in such circumstances and I did not find that this book dealt directly with the issue. Robey finds his father mortally wounded on the battlefield and we get the story of human scavengers coming through the field after the battle and looting the bodies of the dead and wounded. Robey cares for his father as his condition worsens and interacts with others nearby. As I am reading Coal Black Horse with the 14 year old boy as the protagonist, I am thinking of 16 year old John Grady Cole, the 16 year old in All the Pretty Horses. I remember thinking that Cole's mental stature and experiences seemed much older than his age in the story. I am having a hard time imagining Robey Childs actually being a young teenager. In our current times we hear about child soldiers and children being "bound over" into adult criminal courts. In literature it seems that characters might be given a stature that is much older than their chronological age simply for the convenience of telling the story. I am trying to think of examples where a young protagonist actually seems like a child experiencing adult events. Today we hear of children killed by Israeli missiles on a beach in Gaza - children doing what we expect children to be doing: playing. Robert Childs is a boy - not a man - in the midst of a very adult situation. The author portrays him as a child becoming a man as the story moves on but this is displayed more as a circumstance of events rather than as an internal, mental growth. How the transformation occurs is left to our assumptions just as the relationships between the boy and the coal black horse and the boy and his father and the boy and the girl are pointed out but not really deeply grappled with. I guess this is truly the "coming of age" concept - but how realistic can a coming of age be for this child at age fourteen? Can a boy shoot a man dead on one page and feel the tenderness of first young love on the next? Can a boy becoming a man become both the best and the worst of both worlds? Can a boy see and experience brutality in his young life without becoming brutal himself? I was touched by the young love in the story between the fourteen year old boy and the fifteen year old girl. Both experienced life beyond a current norm for those ages. Possibly it was closer to the norm at the historic time of the story, the 1860s. I was brought back to my first experience of love in my middle teenage years in an emotional and dramatic way. I was married and had a baby and was a fulltime student and blue collar worker in my teenage years. While I did not directly experience death or brutality like Robey, I had the very real experience of being a young grownup supporting a family under demanding circumstances during the years of Vietnam and the military draft. The experience of being on the Gettysburg battlefield in the aftermath of the fighting was eye opening for me. I did have a hard time transporting myself as a fourteen year old boy, a factor the story did not very successfully realize for me although the story did very successfully hold my attention, eager for the action and resolution. I did substitute my own teenage love relationship and struggle since the relationship of Robey and Rachael was not very satisfactorily portrayed as far as I was concerned. The strength of the anti-war sentiment added a star to my rating although the brutality, the carnage of war, was at times oppressive. Outside of the battlefield the brutality between people needed more attention and justification. The struggle between Robey being a sensitive boy and a murderer was not handled well, I thought. While I am satisfied to give Coal Black Horse four stars, it is a weak four stars. The book was a short, punchy two hundred pages; I wanted it to be deeper. My enjoyment of the book benefited from what I put into it from my own experience. It gave me pause and little hope in considering man’s inhumanity to man. Masterfully written, this is lyrical at points but also extremely dark in its entirety. It's Civil War at the time of Battle of Gettysburg summer. Classical war novel here; yet there is no part that is not prose beautiful. It is the reality of emotional hopelessness and loss of innocence, if existing before this journey/task- then certainly not after. That surety is what most remains in my memory at the book's end, regardless of there being some elemental forgiving outcomes. The protagonist is l Masterfully written, this is lyrical at points but also extremely dark in its entirety. It's Civil War at the time of Battle of Gettysburg summer. Classical war novel here; yet there is no part that is not prose beautiful. It is the reality of emotional hopelessness and loss of innocence, if existing before this journey/task- then certainly not after. That surety is what most remains in my memory at the book's end, regardless of there being some elemental forgiving outcomes. The protagonist is like Everyman. Yet that coal black horse as a support and succor, its quality and existence a kind of redeeming hope? Do not look for lighthearted fare here. We never know what side the Dad is on, nor do we ourselves ever know exactly in our own personal wars? War/adulthood is the reality that can roll over many of us, regardless of sides! There is a lot of discussion material here for educational/book groups, just as in Red Badge of Courage or other classic War novels. Most all of emotion and reasoning is blurred within the actual reality of the acts necessary for surviving; base human fatalism too, very strong here. None of us get out alive. You know how some guys look back to their early adolescent years and brag about how they were manly well before their friends (Uncle Rico). Well for most that self endorsed image is imaginary and untrue. Not so for The 14 year old main character here. He left West Virginia on horseback to hopefully retrieve his hopefully still living Civil War soldier father at the bequest of his mother who had a premonition that her young sons retrieval was the only chance of seeing him again.........knowing fu You know how some guys look back to their early adolescent years and brag about how they were manly well before their friends (Uncle Rico). Well for most that self endorsed image is imaginary and untrue. Not so for The 14 year old main character here. He left West Virginia on horseback to hopefully retrieve his hopefully still living Civil War soldier father at the bequest of his mother who had a premonition that her young sons retrieval was the only chance of seeing him again.........knowing full well the risk was that she'd never see her son again. And he went- willingly, swiftly, excitedly. He catches up to him in the immediate aftermath of Gettysburg and his transition into manhood is well underway. A young boy goes in search of his father in the Civil War and finds him on the battlefield in Gettysburg. Very, very dark, almost mythological in scope, and beautifully written, but I had a few problems: 1) It was a bit too graphically violent for my taste. 2) The main character was way too philisophical for his age. I mean, he's 14 years old, and he reflects on things like he's 45. I found this annoying. And 3) Too many coincidences. The main character keeps running into the same people, no mat A young boy goes in search of his father in the Civil War and finds him on the battlefield in Gettysburg. Very, very dark, almost mythological in scope, and beautifully written, but I had a few problems: 1) It was a bit too graphically violent for my taste. 2) The main character was way too philisophical for his age. I mean, he's 14 years old, and he reflects on things like he's 45. I found this annoying. And 3) Too many coincidences. The main character keeps running into the same people, no matter where he goes in Civil War Virginia. And even though he has no clue where his father is or how to get anywhere, he seems to have no problem finding him. 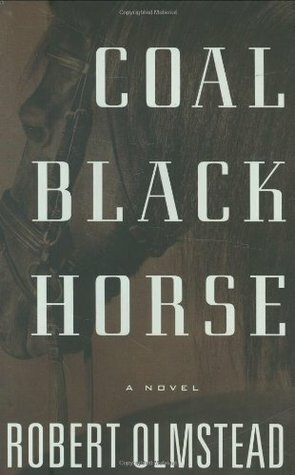 To the steady drumbeat of powerful Civil War novels that continue to arrive, you must add Coal Black Horse. Here, distilled into just 200 pages, is the story of how a young man and a young nation lost their innocence. With his lush, incantatory voice, Robert Olmstead describes a boy thrust into one of the war's most horrific moments. In the opening pages, 14-year-old Robey Childs is called into the house by his clairvoyant mother. It's May 1863, and she perceives that the Civil War has reached a To the steady drumbeat of powerful Civil War novels that continue to arrive, you must add Coal Black Horse. Here, distilled into just 200 pages, is the story of how a young man and a young nation lost their innocence. With his lush, incantatory voice, Robert Olmstead describes a boy thrust into one of the war's most horrific moments. In the opening pages, 14-year-old Robey Childs is called into the house by his clairvoyant mother. It's May 1863, and she perceives that the Civil War has reached a crisis. "Go and find your father," she tells him, "and bring him back to his home." Their interest in the conflict is entirely nonpartisan. With a reversible blue/gray jacket and strict instructions to shoot first, Robey begins an arduous journey across territory rife with soldiers, gangs and refugees. In Hollywood parlance, this is Jim the Boy climbs Cold Mountain, and surely young stallions are already lining up to play Robey in the inevitable movie. "He walked a shambling gait, his knees to and fro and his shoulders rocking," Olmstead writes. "His hands were already a man's hands, cut square, with tapering fingers, and his hair hung loose to his shoulders. He was a boy whose mature body would be taller yet and of late he'd been experiencing frightening spurts of growth. On one night alone he grew an entire inch and when morning came he felt stretched and his body ached and he cried out when he sat up." A neighbor gives him the coal black horse of the title -- "an oncommon horse," Robey notes -- and he sets off toward the latest news of battle, stealing food when he's hungry and sleeping as little as possible. Almost all his encounters with others are disturbing or violent -- frequently both. He's captured by Union soldiers just before an attack by raiders, and from the first shot it's a spectacular scene, chaotic and deafening, striking for the sheer oddness of the ways in which people's bodies are torn apart in war. As he escapes, Robey sees "the men in blue where they'd been carted and strewn for burial and the sight of them was as eerie as drowned fish." This is just a prelude to Gettysburg, where he hopes to find his father. We don't see the battle itself -- it's ended when Robey arrives -- but his experience of the aftermath will haunt anyone who reads these pages. Beyond the impact of so much death is the unimaginable horror of this vast field covered with men who are not yet dead, "men who lay on the bare ground, moaning and twitching fitfully, blubbering in wave and cadence. They were left wholly to themselves." Olmstead sweeps from the enormity of the battle to searing little moments, rendered in incongruous poetry: "A white horse, its forelegs shot off, lay on its side calmly cropping the tufted and trampled rye." In the heat of such carnage, despite his youth, Robey must find the courage to save those depending on him and kill those who would do him harm. Coal Black Horse shares some apocalyptic similarities with Cormac McCarthy's The Road, and as with that chilling masterpiece, one almost hesitates to interrupt the chorus of praise that has already greeted this book to point out some annoying flaws. We might accept Robey's easy success at finding his father among 50,000 casualties, but that reunion is compounded by several more unlikely reunions, as though the whole state of Pennsylvania were reduced to half-a-dozen people. More troubling are flashes of pretension that mar Olmstead's prose. The book's epigraph comes from Job, and the voice of God seems to keep butting in throughout the story. Even during gorgeous and moving passages, we have to stumble over declarations such as this: "They were a teaching father and a learning son, timeless in their existence, the father born into the son as is the grandfather and the father before him and all the way back to the first. The father's life is foreclosed and the son's life is continuing and as always, only the unknown privileging one state of being over the other." We're told of "lessons as old as the history of the sun." When his mother speaks, "Her words were as if come through time and she was an old mother and the ancient woman." Coal Black Horse doesn't need these flourishes of profundity nor the harping on Robey's momentous transition from Boy to Man. The story conveys all this more powerfully than any of Olmstead's pronouncements. Like Robey, he should just keep it simple and trust his instincts. This is a novel that induces many reactions in the observant reader. I am still thinking about it, and I fully realize that my views on it will undoubtedly change. I guess in my mind that makes it a classic. Rarely have I read a book that fully depicts the horror of the aftermath of war that does not feel the need to sermonize about war and its banality. Yet this book, which is gruesomely violent and disturbing at times, seems to fully embrace war as a part of human nature, and in its basest elem This is a novel that induces many reactions in the observant reader. I am still thinking about it, and I fully realize that my views on it will undoubtedly change. I guess in my mind that makes it a classic. Rarely have I read a book that fully depicts the horror of the aftermath of war that does not feel the need to sermonize about war and its banality. Yet this book, which is gruesomely violent and disturbing at times, seems to fully embrace war as a part of human nature, and in its basest elements as a part of each and every one of us. That realization, along with the intense and gruesome details of the Civil War and the harsh realities of life in general at that time, serve as a knockout punch for the reader. Olmstead gives us a unique writing style and his syntactical choices at times are really simply stunning. He is clearly a very gifted writer. His description of the aftermath of Gettysburg is breathtaking. During this part of the novel you dare not stop reading for fear of how the world will appear if you look up from the page. He is also adept at characterization. Most notably with the protagonist's mother who is a haunting presence in the novel from her very first line of dialogue. The fact that she disappears in the first chapter and does not reappear until near the end of the text further highlights her great presence, as she dominates the novel throughout. There are in fact few, if any, characters who do not leap of the page and in some way grab the reader. A cameo appearance by two women sitting on a porch after the battle of Gettysburg being just such an example. The novel moves at a pace that carries the reader along, at times with dizzying swiftness that we (and the novel's protagonist) wish we could stop. But we can't. The journey is unfolding in all its harsh realism, though we wish it would not. At one level, a stock transformation through a journey story. At another level, an American Divine Comedy. A boy travels from the purity of his home and childhood into the depths of hell and returns a man. Hell in this case takes form as the Civil War and specifically, the aftermath of the Battle of Gettysburg; where the death, blood and horror signal the start of a national return to self-evident truths. The magic of this story is made by the boy's guide; a shaman who casts a mystical spell Great. Wow! This is destined to be a classic American novel. A beautiful--painfully beautifully--novel, where every word is so powerfully moving. For many Americans it is truly difficult to fully understand and place the American Civil War in context. This novel does it, and does it through the tale of a young boy and his horse. It is the "Red Badge of Courage" for our time. My hat is off to Mr. Olmstead for writing this terrific novel. This is one that I will surely read again and again. While I was reading this, I kept thinking about communication, and history, and the way we approach historical events, removed by a hundred years. It's easy to look back on a battle and say, That was the Battle of Gettysburg. It was fought in early July 1863 with 50,000 casualties. You had Meade on one side and Lee on the other. You can go back and draw up the battle plans in your head and watch how it was supposed to go and how it really went. It's another thing to be there. Particularly from the While I was reading this, I kept thinking about communication, and history, and the way we approach historical events, removed by a hundred years. It's another thing to be there. Particularly from the perspective of an outsider with little experience of war. Historians can debate the internal and external causes of the Civil War all they want, but when you are living through things, you aren't thinking "my emotions are a direct result of the institution of slavery or too many taxes or a push for the reduction of state's rights" or whatever, you're thinking "these people are burning my farm, or taking it over, and there are chopped-off body parts under my kitchen window." Maybe only later, if at all, you learn that people are going to call that fight the Battle of Gettysburg, and you realize that that large gathering of people have come to see the President speak, and that doesn't happen every day; you can't turn on CNN and see Lincoln talking. You do not know that people are going to write about this battle for a long time. States away, people don't know the battle happened for a (relatively) long time. All they have are set-up pictures by Mathew Brady and some words from their president and some dead children. Analysis is far off in the future. This book does a good job of demonstrating that immediacy and uncertainty. We see the war from the perspective of a 14-year-old boy who has rarely left his family's farm. He's a bit of a flat character, speaking little, and with a ponderous nature that seems beyond his years, but he is easy to sympathize with. You can put yourself in his shoes. Along the way, Robey meets several characters, over and over again. Some others have criticized the book for this, calling it too coincidental, but it makes sense to me. The characters he meets are following the war in the same way he is. You could not avoid knowing the basic movements of each army if you are close enough; you can hear them, smell the campfires and food burning, and see the merchants set up to sell wares around the camp. There are always profiteers to be found in war and most of the people Robey meets are such. And don't forget the population was much smaller in 1860 than in 2010. This review has been hidden because it contains spoilers. To view it, click here. Set during the American Civil War. I really wanted to read this book ... the summary sounded interesting, the reviews were fantastic, but I just could not get into this book. Giving this one another try -- have to read it for our December Book Discussion. Well, I wouldn't say that the 2nd time was a charm, but I finished it and for what it's worth, the story, albeit not a great one for me, did "pick up" (and I use this phrase lightly) when Robey found his dad on the battlefield at Gettysburg. I'm n Set during the American Civil War. I'm not quite sure how to best describe this story. There is really no strong plotline. I guess it would best be described as a journey as I slogged my way through -- Robey leaves home (on mom's orders) to find his dad. Along the way, he meets a few interesting characters, he finds his dad & then he and a girl that he meets go home to his mom and wait for bad things to happen. I love books about the American Civil War, but this just did not do it for me. I think it was the overly descriptive passages that turned me off. When reading fiction, I like to use my imagination to picture how things are / were, but Olmstead puts so many descriptors in when talking about people, places & things that there is no room left for imagination. I don't want to know everything -- let me figure some of it out on my own. Also, I go tripped up by quite a few words -- I don't want to have to stop & go look up the author's unusual verbage. I really thought it was just me, but then I asked a retired English teacher that I work with and he didn't know what the words were either. Fancy doesn't cut it in my book -- speak plain English and tell your story! Finally, this book was compared to Charles Frazier's "Cold Mountain". I would say right there explains why I so disliked this book. I hated "Cold Mountain" -- couldn't even finish the book. At least I finally finished this one. Robey Child's mother instructs him to find his father on the Civil War battlefield and bring him home. What follows is an extremely well-written historical novel and coming of age tale. During his journey, Robey is exposed to the best and worst of human nature, from the murderous deceptions of a wartime scavenger to the fatherly kindnesses of a Union officer, and he is forced to examine his own capacity for cruelty, cowardice, bravery, and tenacity in the wake of war's horror. This book was a win Robey Child's mother instructs him to find his father on the Civil War battlefield and bring him home. What follows is an extremely well-written historical novel and coming of age tale. During his journey, Robey is exposed to the best and worst of human nature, from the murderous deceptions of a wartime scavenger to the fatherly kindnesses of a Union officer, and he is forced to examine his own capacity for cruelty, cowardice, bravery, and tenacity in the wake of war's horror. 1. The plot line was an engaging page-turner. I was totally caught up in the twists and turns of Robey's journey, and couldn't wait to find out what would happen to him and his beloved horse from chapter to chapter. 2. The language of the book is beautiful. The author's lush description of Robey's initial descent from his home high in the mountains into the river plain below was gorgeous -- it read like poetry. 3. For those interested in the historical aspects of the novel, Olmstead's prose conveys a sensory immediacy that is stunning. The reader will feel like he/she actually walked the fields of Gettysburg and experienced the tastes, smells, and hellish images of that battle's aftermath. 4. The book has a quality shared by all good literature -- it is "soul enlarging." You know a bit more about what it is to be human after you read it. The above quote tells quite a bit about Olmstead's Coal Black Horse . It is garnish and flair, it is pretty words and gruesome descriptions of the horrors of war, but it is a story without a point, except to say that life is without value and, eventually, someone will end yours and it will all be over. Robert Olmstead has previously published three novels, a short story collection (River Dogs), and a memoir. Brief and intense, Coal Black Horse has generated high praise and seems destined to become the author's breakout book. Critics inevitably compare the novel to Charles Frazier's masterpiece, Cold Mountain, and other classics of Civil War and postapocalyptic fiction: Stephen Crane's The Red Badge of Courage, E. L. Doctorow's The March, Cormac McCarthy's The Road, and Michael Shaara's Killer Angels. Some critics note passages of purple prose and convenient plotting, though most agree that Olmstead has written a stark, beautiful novel whose powerful, disturbing, and ultimately redemptive vision negates any flaws. The influence of Cormac McCarthy is pretty obvious with this one. But that's a good thing, since Coal Black Horse effectively cobbles together the extreme violence and surreal settings and characters of the early novels, to the greater sense of humanity of the later years. But no writer wants to be so heavily compared to another, and it's this sense of humanity that is Olmstead's strength. Great Civil War book. This book brought to mind the recurring question of what would happen if an apocalyptic event developed. My son is 200 miles away. Would I ever see him again. How would we find each other. Oddly enough I see him tonight, something to talk about. These stories drag me through the wringer. I just didn't get this book at all! So maybe I'm biased because I loved Olmstead's last book (The Coldest Night) so much and it was introduction to his writing, but I'm sorry to say I didn't like Coal Black Horse nearly as much (understatement). Coal Black Horse is a story of fourteen year old 'boy', Robey Childs, who leaves his mother (at her direction) to go find her husband/his dad, a soldier fighting in the Civil War. Robey is guided thru his journey by a majestic and stately horse that is the color of coal black. I like the C So maybe I'm biased because I loved Olmstead's last book (The Coldest Night) so much and it was introduction to his writing, but I'm sorry to say I didn't like Coal Black Horse nearly as much (understatement). I like the Civil War and I like historical fiction and I like Olmstead's writing style (a mix of Hemingway and McCarthy) but this one just didn't do it for me. It's essentially a coming of age story (and boy does Childs come of age - like 14 going on 45). I think my expectations (or better put, my hope) was that it was going to be as good, if not better than The Coldest Night. I read it in a number of settings and can't say that I ever really got into it. It's not a long book (224 pages but it seemed longer). 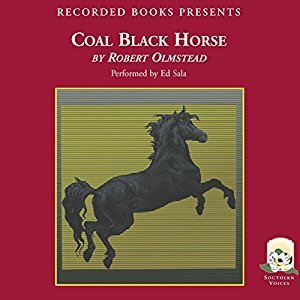 The Coldest Night and Coal Black Horse share many of the same themes so I think I may owe it to myself (and Olmstead) to give this book another try another time. The descriptions of the post battle Gettysburg carnage are some of the most brutal and visceral written images of war's destruction I have ever read. It makes the first 30 minutes of Saving Private Ryan look tame. Not for the faint of heart. Olmstead was born in 1954 in Westmoreland, New Hampshire. He grew up on a farm. After high school, he enrolled at Davidson College with a football scholarship, but left school after three semesters in which he compiled a poor academic record. He later attended Syracuse University, where he studied with Raymon Robert Olmstead (born January 3, 1954) is an award-winning American novelist and educator. Olmstead was born in 1954 in Westmoreland, New Hampshire. He grew up on a farm. After high school, he enrolled at Davidson College with a football scholarship, but left school after three semesters in which he compiled a poor academic record. 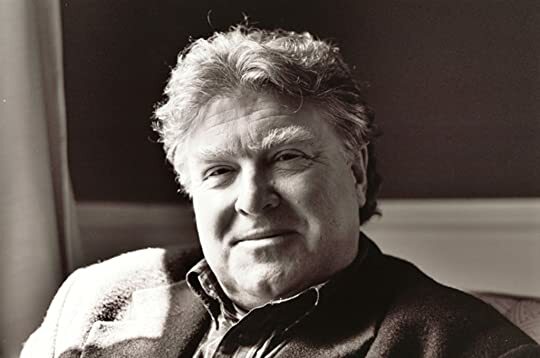 He later attended Syracuse University, where he studied with Raymond Carver and Tobias Wolff and received both bachelor's and master's degrees, in 1977 and 1983, respectively. He is currently the Director of Creative Writing at Ohio Wesleyan University. He has also served as the Senior Writer in Residence at Dickinson College and as the director of creative writing at Boise State University. Olmstead teaches in the Low-Residency MFA program in creative writing at Converse College . Olmstead is the author of the novels America by Land, A Trail of Heart's Blood Wherever We Go and Soft Water. He is also the author of a memoir Stay Here With Me, as well as River Dogs, a collection of short stories, and the textbook Elements of the Writing Craft. He was the recipient of a Guggenheim Fellowship in 1989 and an NEA Literature Fellowship in 1993. His novel Coal Black Horse (2007) has received national acclaim, including the 2007 Chicago Tribune Heartland Prize for Fiction and the 2008 Ohioana Book Award for Fiction; it was also selected for the "On the Same Page Cincinnati" reading program and the Choose to Read Ohio’s 2011 booklist.